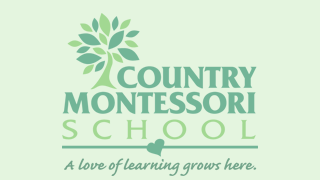 All fathers are invited to attend a special night at Country Montessori. This is a special time for fathers to come to school with their children. The children are excited to be able to show their fathers the work they do daily in class. Ladybugs will meet on Tuesday, February 6 6:00-7:00 p.m.
Bumblebees will meet on Wednesday, February 7 6:00-7:00 p.m.
Dragonflies will meet on Thursday, February 8 6:00-7:00 p.m.
We are looking forward to seeing all our fathers in attendance for this occasion. Please refer to our Father’s Night Procedures to guide you in this important event. Please read to ensure the success of your visit. The purpose of Father’s Night is twofold: to give your child an opportunity to share the school experience with you and give you the opportunity to observe your child at work in a Montessori classroom. We try to make it as much like a normal work time as possible. The teachers have carefully prepared the Montessori environment so that it contains exercises that will attract and stimulate your child and enable him/her to become as independent as possible. The goals of all the exercises are to help your child develop independence, order, concentration and coordination. 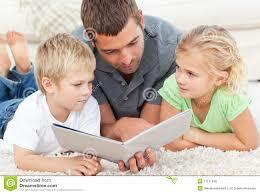 We will leave it to your child to show you around, explain and demonstrate work to you. Please do not ask your child to do specific work unless you are sure that he/she has had a lesson on the work. If your child seems unsure about an exercise, you might suggest that he/she choose work he/she has done before. Your child will want you to go with him/her as he/she chooses the work. You may sit on the floor or a chair, depending upon where your child is working. This is not an appropriate time to quiz your child. As your child becomes at ease, he/she will share more information with you. This is a special night for you and your child. We discourage adult conversation; either father to father or father to teacher. The teachers will be in the background, but ready to help if needed. The child is the focus and your love and attention are their reward. We welcome substitute fathers such as mothers, Grandfathers or any one person chosen for the evening. Let this be a special night for you and your child. No siblings please. If you have questions please contact your teachers.